So I just couldn't get this wig to work for me. So I cut bangs into it. What do you think? You look lovely. Bangs suit you. I haven't had bangs for years because my bio hair was too thin. So I am having fun with it. So cute! 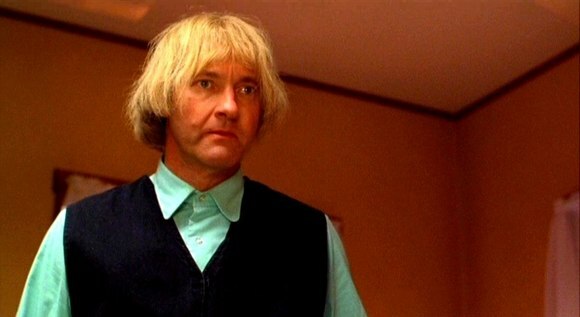 I think I’ll take my Soft and Subtle in to a shop to get bangs cut in. I don’t dare do it myself and I find myself not wanting to wear it without bangs. Too floppy in my face. Have never left the house in her yet. Looks so lovely and natural. Looks great. I have cut bangs lots of times on my wigs. Usually I cut a side bang if they are flopping in my face. I do whatever I have to do to make a wig work for me. Yes to what Katooshie said: pretty and youthful! Looks so cute! I haven't been able to get Peppermint to work for me either, I trimmed the back since it was so thin anyway, maybe I'll try cutting bangs, it can't make it any worse. Belle Tress right? I am wearing my Sugar Rush today. It is definitely thin on the monopart but the roots make it look thicker. That Bay looks like it has a problem. Yes, Peppermint is Belle Tress. The monopart is fine, although way too dark. It's really thin in the back, the ends are razored. I think it's thinner than my own bio hair. Also the layers are really choppy, I don't see that as much in yours @Shar W, but very apparent on my blonder shade. Not a look I care for. Mine isn't choppy or thin in back. It is heavily razored on the ends though. I tried putting Peppermint in a ponytail and it was thinner than my bio ponytail would be, so I trimmed a couple of inches off and will try putting in bangs, hopefully will that help. Does "razored" mean thinned to look wispy? Instead of shears, a razor is used to cut the hair, which gives the ends more of an angled, thinner look....maybe someone else can describe it better than I can. Yes, but it’s not overly thin if that makes sense. Mine isn’t wispy looking. I think I get it. Just not blunt-cut. This is how Peppermint is supposed to look in back. Got you. Thanks. She is clearly very short so the wig looks longer. Peppermint is layered, it is that long on me in the back, it also looks as though the model has most of the hair pushed back behind her shoulders. If I pull it forward, the back isn't nearly as full looking as on the model. Maybe I just got a bad one, that's 2 now. Bay is definitely going back. This really bothers me. If it isn't shot in a natural position, it is just deceiving people into believing it is thicker, or longer (Hello Stevie!) or whatever else they think will sell it better. You look amazing in that one, I am tempted to try darker colours, love this on you. I love the bangs and the color. It makes the color of your eyes pop. Thanks everyone. I am sure I will wear her now. I didn’t like it before and it just sat in the box. It’s soooooo cute!! I love that you put bangs in!!! too cute! You look even younger with those bangs. I'm happy you decided to pull her back out. Thank you. I am glad I did too. Yes, take a pic. Maybe I can offer some suggestions. I used to be a hairstylist. I don't think there's any saving Peppermint now, but I will later this evening, I need to run some errands now. Ok, here's proof positive I'm not afraid of looking ridiculous with you ladies, however I will never step outside wearing this. I trimmed a couple inches all around as well as this wonderful bang job :brow: Feel free to laugh at me, because I sure am! Can you pull it forward a bit? LOL! Maybe if you wanted to be a Mia Farrow from the 60's for Halloween? Did you trim the bangs while it was on your head? I am trying not to laugh! How did this happen?! I trimmed it 3 times, so I wouldn't cut them to short. Its hard to judge the length when the wig is on a wig stand. I just got lucky.